Job Opportunity: Be the New 007! Did you hear Matthew Perry was up for Bond? (Suggested by his "Friends", no doubt.) Or, Cuba Gooding Jr.?(Riiiiiiiight...) Perhaps British pop star Robbie Williams? (Perhaps in another "Millenium.") These are just a few of the so-called contenders for the Bond role. I'll let you in on a little secret: not only will it never happen, none of these fellows was even in the running. I stand as much chance of playing Bond as they do! This, however, is nothing new. Each time the role becomes, or appears, to be available, the media goes into a frenzy. Odds are laid in Las Vegas. Fans speculate and argue as if the fate of the world depended on it (well, it does, doesn't it?). 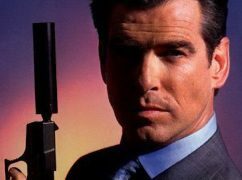 Who should, or could, play Bond is a question that dates right back to the beginning. Back in 1961 the group of actors short-listed to bring Agent 007 to life in DR. NO was as long as winter in Winnipeg. Richard Burton, Cary Grant, James Mason, James Stewart, Richard Johnson, Patrick McGoohan, and Roger Moore were the most recognizable names. Each of these actors was already a major star, or at least well-established on TV. For one reason or the other, none was able to assume the role. Sean Connery eventually got the part (how's that for understatement! ), and you can imagine producers Albert R. Broccoli and Harry Saltzman's relief when their gamble with an "unknown" paid off - in spades. Interesting, isn't it, that they should find quick success with an unknown instead of an established "star." That's what was in the producers' minds when, in 1968, the most famous search for a new James Bond "since the search for Scarlett O'Hara" began with the ultimate signing of Australian model and car salesman George Lazenby. Another unknown. Broccoli and Saltzman, and United Artists, truly believed they had made the same magical selection as they'd done seven years earlier, and that they could lock their new boy into a seven-picture deal. This time, however, they were wrong. We won't tread over the now legendary tale of Lazenby's failure as Connery's replacement. Suffice it to say, Sean Connery - unlike any other actor creating a famous role before him - stamped so indellably his mark as 007 that nobody, no matter how physically capable (as Lazenby was), stood any chance of success after him. That's why the producers scrambled in desperation to get Connery back, and why, when he made it clear he would "never again" draw Bond's Walther PPK, established TV star Roger Moore was chosen to take over. When Moore's successful tenure was up in 1985, producer Broccoli and (now) MGM, having learned their lesson from the Lazenby fiasco, signed another successful TV star, Pierce Brosnan. The infamous "Remington Steele" contract dispute abruptly stalled that idea. Timothy Dalton was a new gamble for the Bond team, because although he had the Bond "look", and had become a respected Shakesperean actor in England, he lacked any film or TV fame in the vital US market. Notwithstanding the recent backlash against Dalton(perpetuated by a ruthless media), in 1987 he was widely accepted and appreciated as James Bond, a refreshing incarnation after the aging Roger Moore. The measure of his success would have proved much greater in Dalton's favour had he made two or three more films. Nonetheless, the Broccoli family nearly tripped over each other jumping at the chance to get Pierce Brosnan again - an established TV star, remember - once Dalton vacated the role in 1994. 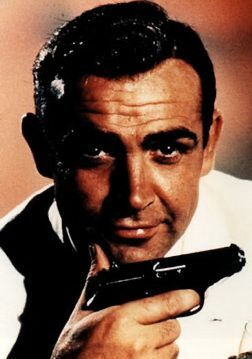 So it's a very good bet that when Brosnan decides he'd rather be sipping a Geritol (shaken not stirred) and quit, the next owner of a flashy Aston Martin DB5 and the uncanny ability to seduce women most men can only dream about, will be an up-and-coming, fairly recognizable name and face. Maybe even a star. History's shown that, Connery aside, the "unknowns" remain so.